Pamela Gidley, the actress best known for playing Teresa Banks in Twin Peaks, passed away "peacefully" at age 52 in her home in Seabrook, New Hampshire on April 16, as confirmed by an obituary released to the public by her family. The cause of death has yet to be revealed. The Twin Peaks actress was born in Methuen, Massachusetts and raised in Salem, New Hampshire. Her career began with modeling shortly after graduating high school, when she was stopped in the streets of New York City by a modeling agency who asked if she would be interesting in pursuing a career with them. In 1985, she was declared the "Most Beautiful Girl In The World" by the Wilhelmina Modeling Agency. As she modeled, Gidley also studied at the New York Academy of Dramatic Arts, with aspirations to become an actress. In 1986, Gidley began her career as an actress, with her first movie being Thrashin'. On the set of this movie, Gidley worked with Goonies actor Josh Brolin, who she later went on to date, and Sherilyn Fenn, who she later worked with again in Twin Peaks. In the years following, Gidley managed to land a number of notable acting roles, including the titular role in Cherry 2000, an episode of MacGyver, along with roles in Disturbed, Highway to Hell, and Glory Days. 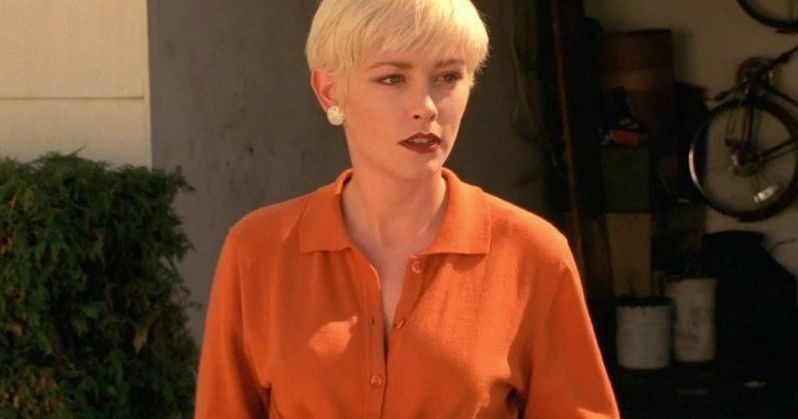 The most notable moment of Pamela Gidley's career was her role as the murder victim Teresa Banks in Twin Peaks: Fire Walk with Me in 1992. This was the prequel movie to the short-lived television series, so it certainly brought a lot of attention to the actress. Supposedly, Gidley was the only actress director David Lynch wanted for the role, leading to him practically begging for her to be in the movie. Gidley was also featured in 2014's Twin Peaks: The Missing Pieces, a 2014 feature-length compilation of deleted and extended scenes from Twin Peaks: Fire Walk with Me as directed by David Lynch and written by Lynch and Robert Engels, which gave fans a chance to see even more of her character. This edited compilation of missing footage comprises the unused footage from Fire Walk with Me, piecing together all of the deleted scenes featuring the cast of original film including Sheryl Lee, Moira Kelly, David Bowie, Chris Isaak, Harry Dean Stanton, Ray Wise, Kyle MacLachlan, and Mädchen Amick. Due to the expanded content, this unique release offered a closer look into the murder investigation of Teresa Banks. Gidley went on to have a number of recurring roles in popular TV series, such as Angel Street, Strange Luck, The Pretender, CSI, and Skin. Additionally, she landed a number of movie roles in movies like The Little Vampire, Landspeed, Bombshell, and The Maze. All in all, Pamela Gidley's career was nothing short of a success. Following the public obituary of Gidley's passing, Gidley's former co-star Josh Brolin had this to say. "My co-star in "Thrashin" and my girlfriend twice in a lifetime. Amazing and innocent memories of her: a spitfire, and a truly funny person she was. I remember is being in bed (I was 17) and hearing the radio come on saying that the Challenger had just exploded. These milestones in your life: amazing people to grace us with their spirit, their presence. She will have forever affected mine. Thank you for the gift of you, Pam. Rest In Peace beautiful girl." Pamela Gidley, whose death has been reported by BBC, will certainly be missed by all who knew her. She is survived by her mother Phyllis, her brothers Glenn, Daniel and Brian, and her nephews and nieces Adam, Keegan, Erica and Alexis. Our thoughts and prayers go out to her friends and family.